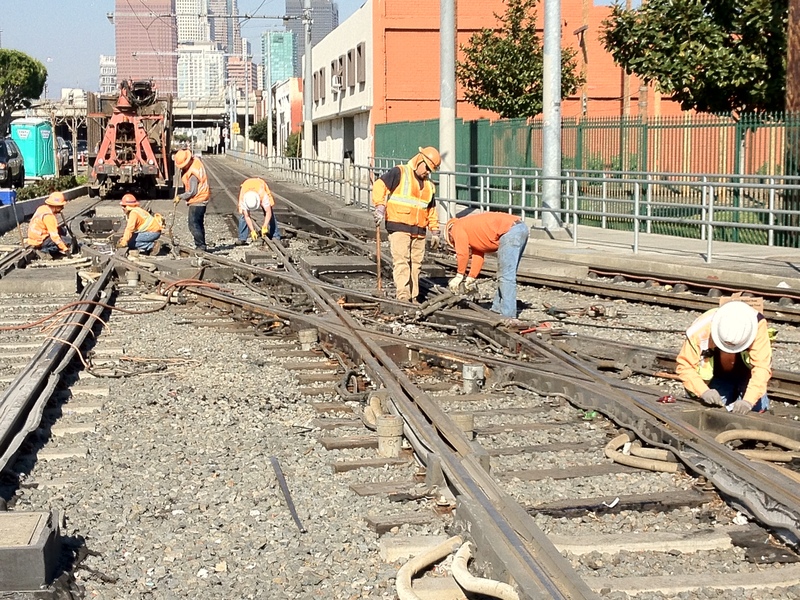 Work was completed Sunday on rebuilding a key part of the junction of the Blue and Expo lines at Washington and Flower in downtown Los Angeles. Regular service on both lines between downtown L.A. and Long Beach and Culver City, respectively, has resumed. 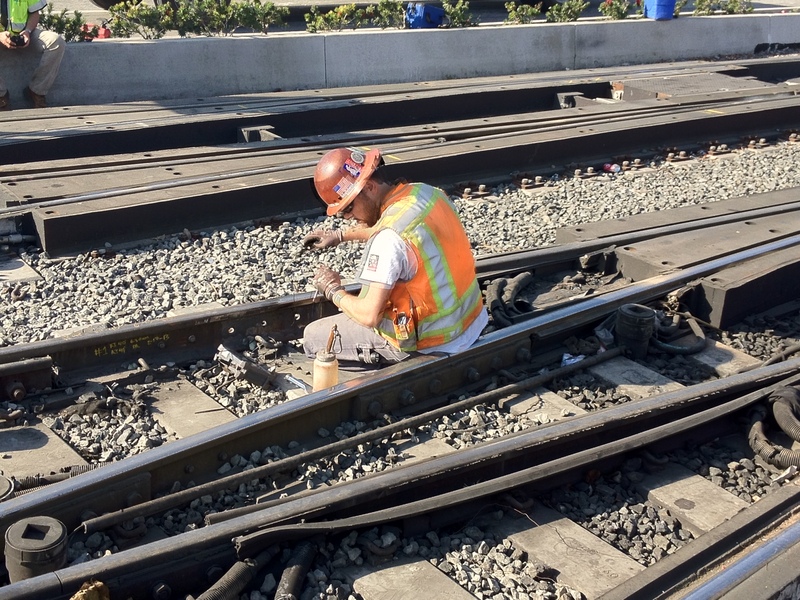 In the bottom photo, a worker on Sunday afternoon performs ultrasonic testing of welding to ensure there are no imperfections in the rails. Test trains rolled across the junction Sunday afternoon and evening with good results. Thank you for your patience this weekend with the bus shuttles between 7th/Metro and Grand (Blue Line) and 23rd Street (Expo Line). For more about the work that wasperformed, here’s a Source post from Friday. This disruption was horrible. That’s all. I knew the lines were going to be undergoing construction, but I didn’t know it would continue into the daytimes. Is this a permanent or temporary fix?